Washington, DC — This morning, on the 50th anniversary of the Wild and Scenic Rivers Act, the Senate Committee on Energy and Natural Resources advanced the Oregon Wildlands Act (S. 1548) sponsored by Senators Ron Wyden (D-OR) and Jeff Merkley (D-OR). The legislation would designate approximately 108,000 acres of Wilderness in the Devil’s Staircase and Wild Rogue areas, protect 252 miles of river across Oregon as Wild and Scenic, and safeguard more than 119,000 acres of the Rogue and Molalla Rivers as National Recreation Areas. The legislation would also withdraw the famed Chetco River in southwest Oregon from mining. The Oregon Wildlands legislation has been supported for nearly a decade by senior Oregon politicians, outdoor enthusiasts, conservation organizations, fishing and hunting groups, and business owners. 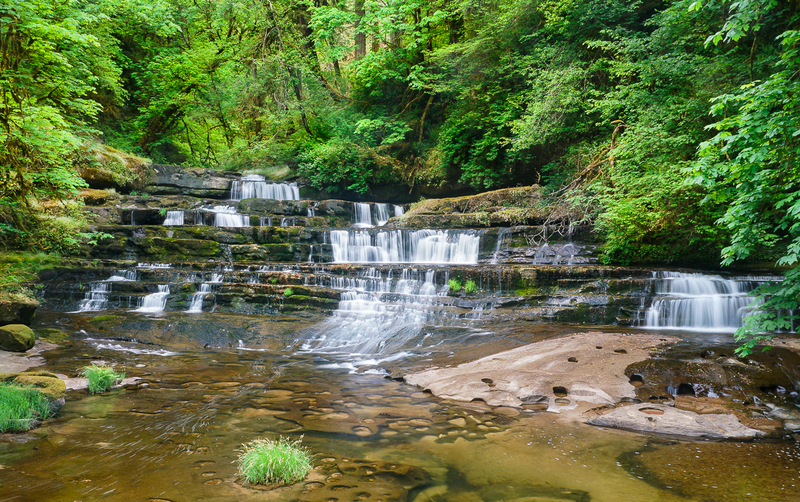 The legislation would permanently protect the 30,500-acre Devil’s Staircase area in the Oregon Coast Range northeast of Reedsport. The old-growth forest and its waterways in the area are home to wild salmon and imperiled wildlife and offer a rugged back country experience for explorers. Under the legislation, sections of Wasson and Franklin Creeks in the proposed Devil’s Staircase Wilderness would be designated as Wild and Scenic further protecting them. To the south, 56,000 acres of the Lower Rogue River in the Siskiyou Mountains would become designated as Wilderness and 95,000 acres would become part of a National Recreation Area under the legislation, further building on the area’s recreation economy. Tourism on the currently designated Wild and Scenic stretch of the Lower Rogue River generates $30 million annually through fishing and rafting adventures, the hospitality industry and more. The Lower Rogue River was one of the original eight rivers designated under the Wild and Scenic rivers Act 50 years ago on October 2, 1968. Nearly 100 miles of tributaries of the Lower Rogue River would be designated as Wild and Scenic under the Oregon Wildlands Act, forever protecting their outstanding natural values. The Oregon Wildlands bill still needs to be approved by the full Senate and House and signed into law by the President. Representative Peter DeFazio (D-OR) has championed the Devil’s Staircase, Wild Rogue and Chetco legislation in the House for over a decade.